Prerana Kumar is an Indian spoken word artist who likes chasing dreams, chugging coffee and spends a lot of her time giving out free hugs. She is currently studying English at Durham University, and is a member of the Writer’s Squad (2018-2020), and the TWP (Tees Women Poets). She is the winner of the Say Owt Slam 2018 and the Liverpool Headliners Slam (Episode 5). 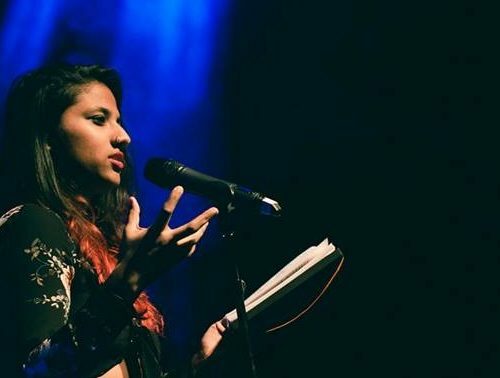 She is also a member of the Durham Slam Team who came 3rd at UniSlam 2019, where she also won Verve’s Poet of the Slam prize for best individual performance. She has performed at spoken-word events across the UK. Her poetry revolves around identity, love, loss and occasionally, a healthy dose of nyctophilia.